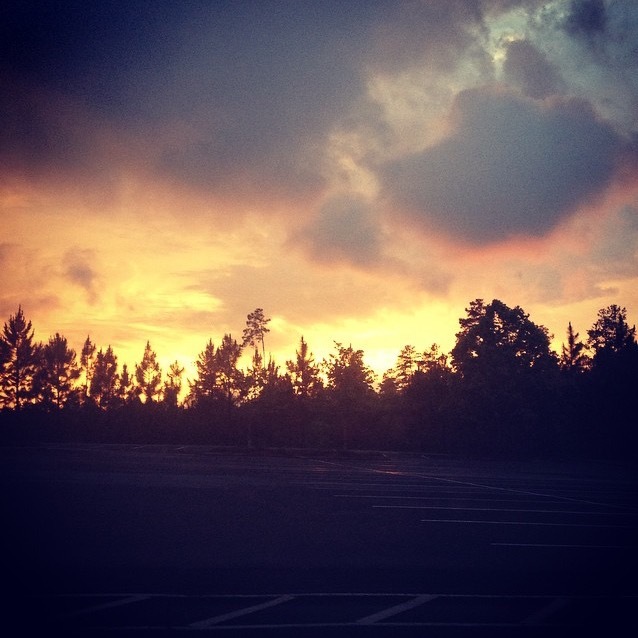 The Southern part of the U.S. is said to have some of the prettiest sunsets in the world. So what are you waiting for? Come check them out in Milledgeville! Here are five of our favorite locations to watch the day come to a close. 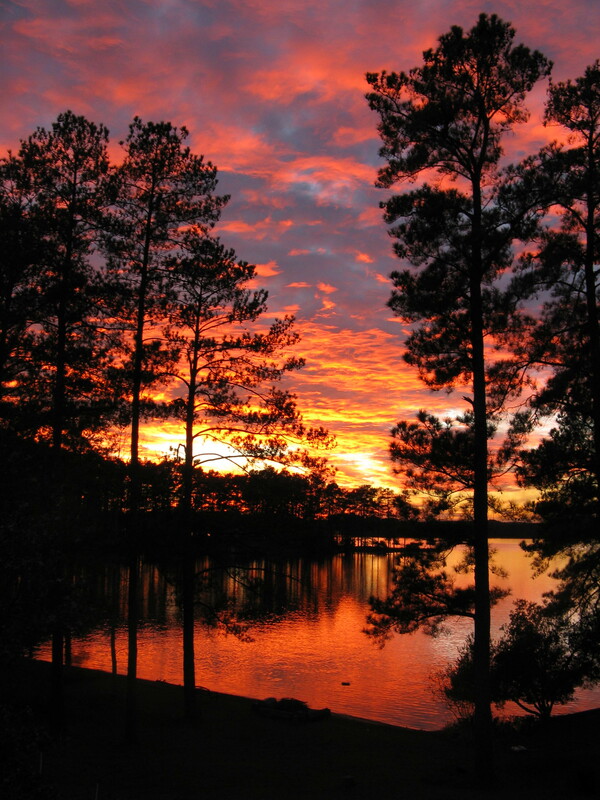 Bartram Forest: Step into this beautiful oasis and see the sunset from one of the most peaceful places in Milledgeville. Bring your pooch, a picnic basket, a blanket and your favorite snack and you’re ready to watch the sun go down. For the best viewing spot, travel a little further back on the trails to the back of the forest. For more information on Bartram forest visit our previous blog here. Baldwin County Soccer Complex: This little hidden spot is a local favorite. Located at what is said to be the highest point in Milledgeville, the Baldwin Country Soccer Complex has the best view in the city. While the location might seem a little strange, its massive fields provide a perfect setting for optimal sunset viewing. Plus, it’s open to the public at all times, not just sunsets! You can catch big groups of people playing soccer, running, biking and relaxing up at this complex at all times of the day! 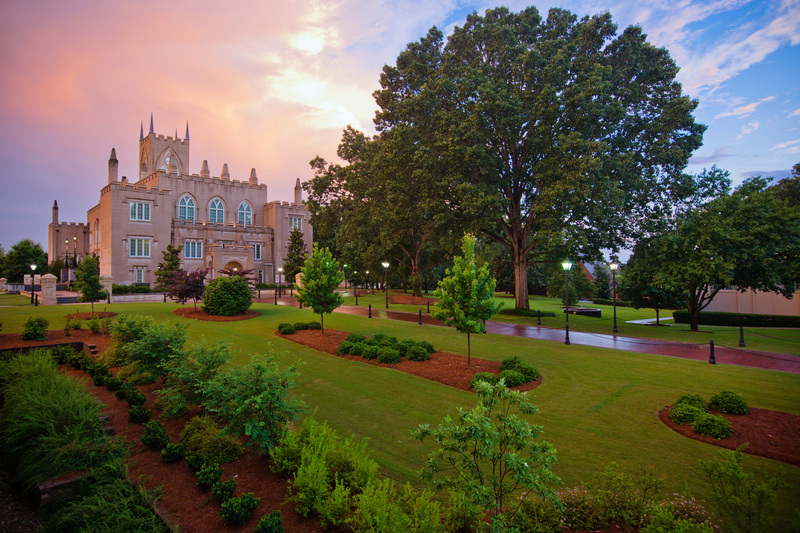 Located on 100 Meeks Rd., near Georgia College’s West Campus, this place provides the best view of a beautiful Middle Georgia sunset. Lake Sinclair: This list wouldn’t be complete without our beautiful lake. Middle Georgia is known as lake country for a reason! Whether you’re relaxing on the dock with a book in your hand, grilling out with the family, and taking a nice sail around the lake, the sun dipping into Lake Sinclair is a sight like no other. Look it up on our social media if you don’t believe it! You won’t be disappointed by this beautiful view. Oconee River Greenway: Another local favorite, the Oconee River Greenway is an awesome spot to bring the family for an evening stroll by the river. With twists and turns all throughout, the Greenway is a great place to watch the sun go down over Middle Georgia. And you’ll never see this place empty! Spread out your blanket, you’ll probably be soaking up bliss at the Greenway way before and after the sun goes down! 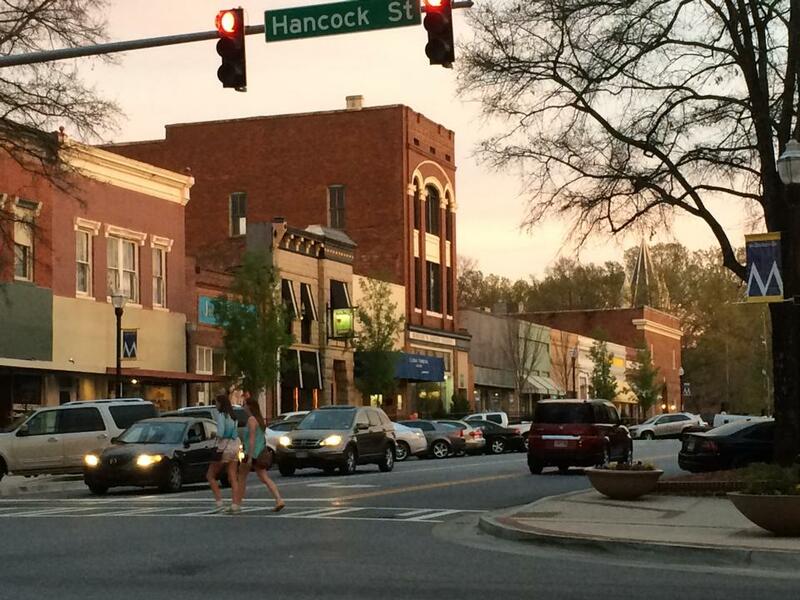 Downtown Milledgeville: Of course, we couldn’t leave out our beautiful downtown Milledgeville. Whether you’re grabbing a slice of pizza at Amici, munching on a fried fish taco at Gringo’s, or licking ice-cream from SweeTreats, downtown is a wonderful place to catch the sunset. Snag a bench along Main Street early since they go quickly on beautiful summer nights!